Make sure you allow the cookies or breads to cool off before you seal them. They should be room temperature when you're putting them in the box or sealed bag to keep them in good condition. One of the great things about homemade desserts is that they don't have artificial preservatives. However, this also means that you have to be careful about the way you package the treats, so the love you baked in those cookies stays really fresh. Rather than opting for zipper bags or disposable containers, consider packing your signature goods in vacuum sealed FoodSaver® bags instead. These bags will keep the desserts fresh up to five times longer than the bags or plastic containers would. This will ensure they taste like they were just baked that day! Vacuum sealing will help keep your treats intact, and you can even use the Pulse Vac feature to ensure they stay in good shape! Add some personality to your present and cushion the box with some colorful shredded paper or confetti, and enclosing a handwritten note. If you use custom-sized bags, you can even add a gift tag right to the bag! The post office staff member will also likely ask you if the box contains anything perishable, so you can add a label to the box too, making it clear that perishables are inside. FoodSaver® products are all you really need to make sure that your baked goods stay fresh - before and after baking. Any ingredients that you don't end up needing for your recipe can be stored in FoodSaver® Fresh Containers, or you can even freeze extra dough with the help of your vacuum sealer. 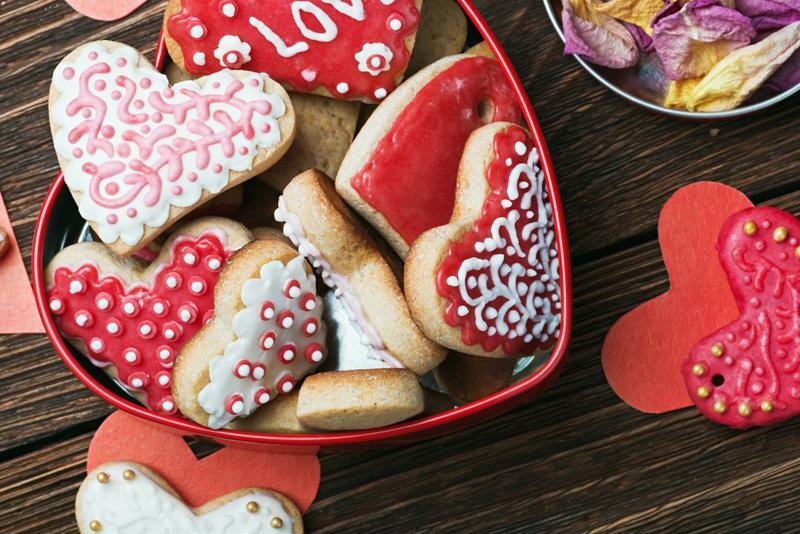 This way, you can enjoy some sweet treats for yourself this Valentine's Day, too!